Winner of the 2018 Palladio Award for Restoration & Renovation: Anderson Hallas Architects for their work on Many Glacier Hotel. A twilight view of the exterior of Many Glacier Hotel across Swiftcurrent Lake. The hotel is located in what’s described as the “Switzerland of North America,” in the northeastern area of Glacier National Park. The 140,000-sq.ft. structure, originally constructed by the Great Northern Railway between 1914-1917, encapsulated the spirit of a growing population yearning for adventure and travel. After all, the Great Northern’s declaration to travelers at the time was, “See Europe if you will, but see America first.” Inspired by design elements of enchanting chalets of the Swiss mountains, the five-story secluded hotel is comprised of two suites, seven family rooms and 205 guest rooms with an array of lakeside, deluxe, standard and value lodging choices. A look at the rehabilitated lobby with its Chinese lantern scheme. “The surrounding landscape is equally, if not more so, majestic. 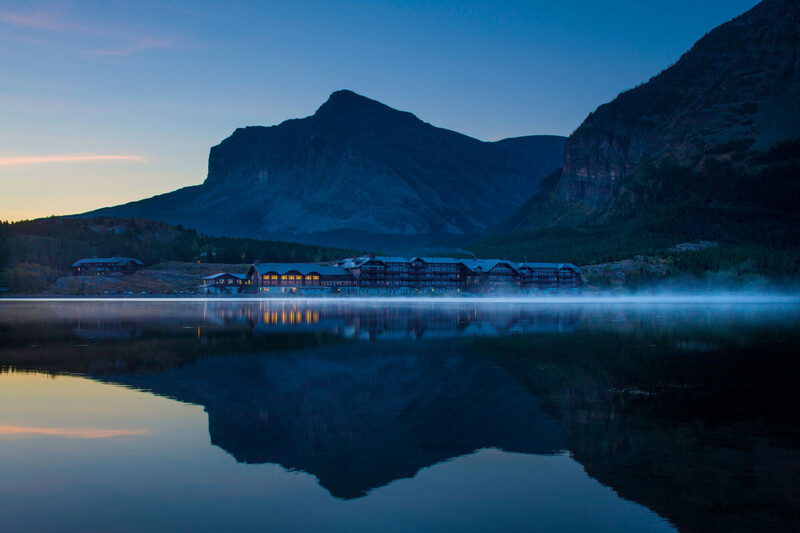 Perched on the edge of Swiftcurrent Lake, the hotel has sweeping views of the lake, forest and steep, mountain peaks projecting skyward,” says Hallas. 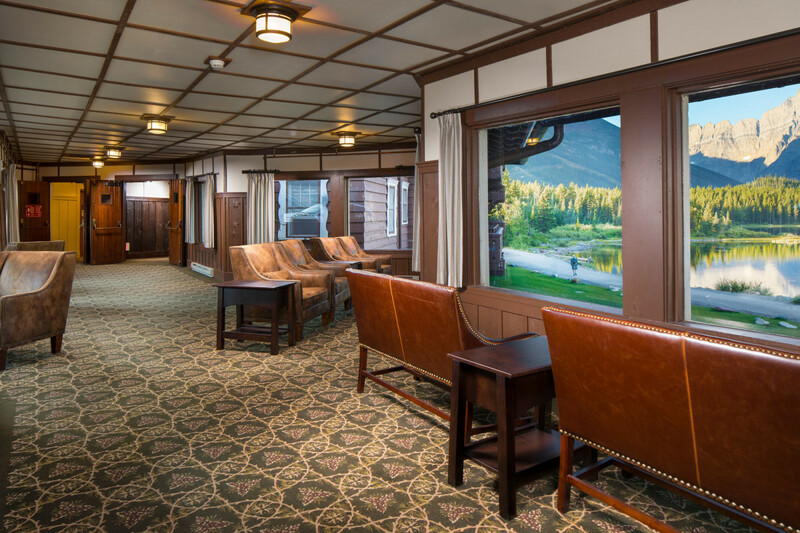 The location is impeccable—the monumental, rustic hotel is within Glacier National Park, which was established in 1910. Glacier is a World Heritage site and an International Peace Park shared with Canada, and a breathtaking array of natural beauty. 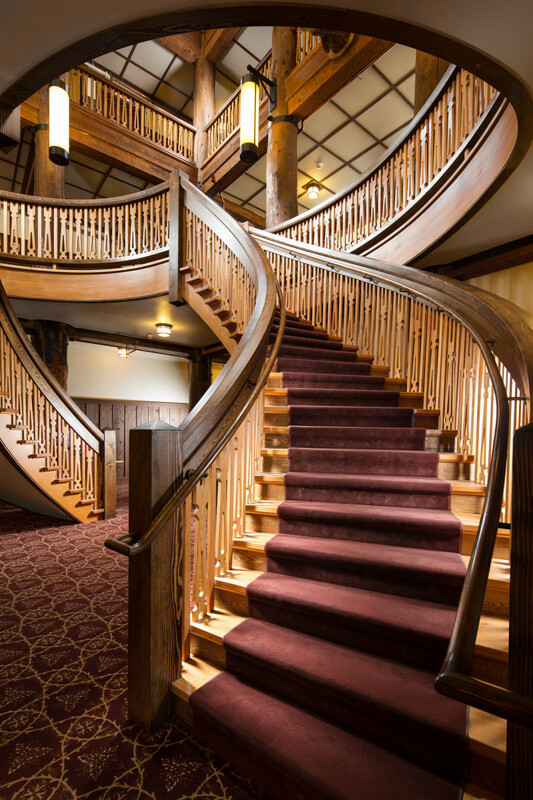 The hotel’s story speaks to the importance of preserving the exquisiteness of America’s backcountry along with the architectural masterpieces that serve as public resting places after a long day exploring the wilderness. However, harsh environmental elements of Glacier’s mountains beat down on the massive timber structure year after year. As each summer season occurred, the issues mounted: burst pipes, structural distress, and as time progressed, over-taxed electrical systems. A historic photo of the lobby, ca. 1930, showing the original Asian-inspired lighting. By 1996, the hotel’s wellbeing was of grave concern and the National Trust listed the Many Glacier Hotel on “America’s 11 Most Endangered Places.” By the turn of the 21st century, the hotel had endured nearly 90 years of well below freezing temperatures, substantial snowfalls, gale-force winds, flooding and wildfires. The National Park Service (NPS), Many Glacier’s steward, seriously considered shuttering the hotel for good; it faced tremendous funding backlogs as well. 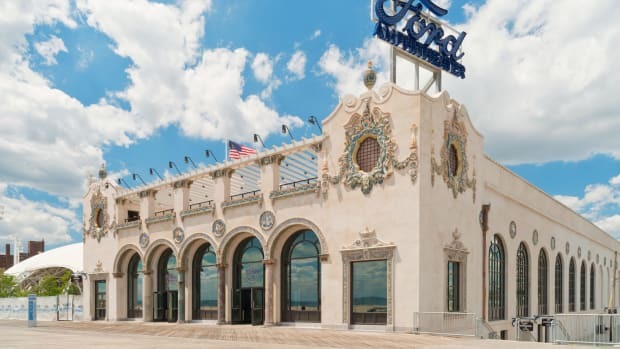 By the good grace and fortune of an undaunted group of stakeholders, who set in motion a long-term commitment to crusade for saving this national treasure, the hotel persevered. 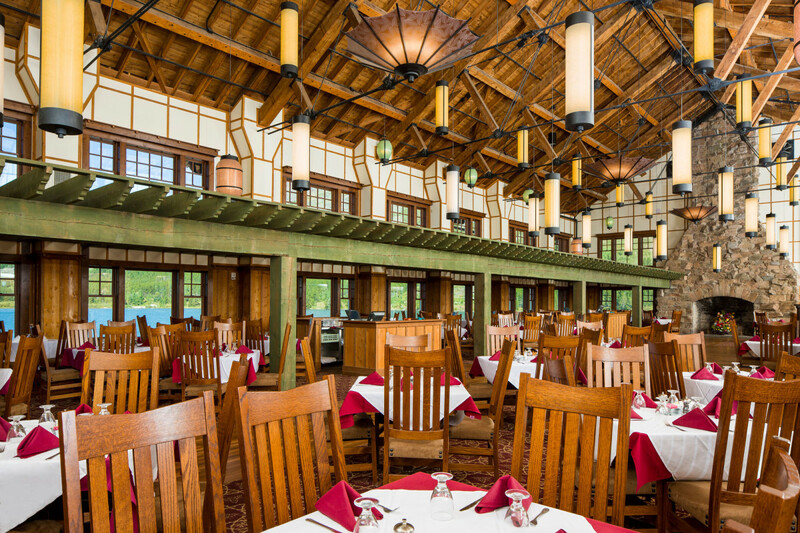 The rehabilitated dining room with its new pergola and lantern lighting scheme. The NPS formed strategic partnerships with the Glacier National Park Conservancy and the park’s concessioners through funding cycles that spanned nearly two decades. It was through the use of these public/private partnerships and a supported phased approach, the daunting rehabilitation transformed into a series of smaller sequential projects that were more likely to receive funding and also guarantee the hotel’s continuous seasonal operation. Construction work was only conducted from April to December, allowing portions of the hotel to remain open to guests each summer season. NPS called upon Anderson Hallas, known for its deep expertise of historic buildings in a variety of climatic regions, to spearhead the interior rehabilitation, yet overall the project progressed for 17 years, from 2000 to 2017, with a multi-phased approach, totaling $40 million in construction costs. This is not the firm’s first National Historic Landmark rehabilitation. 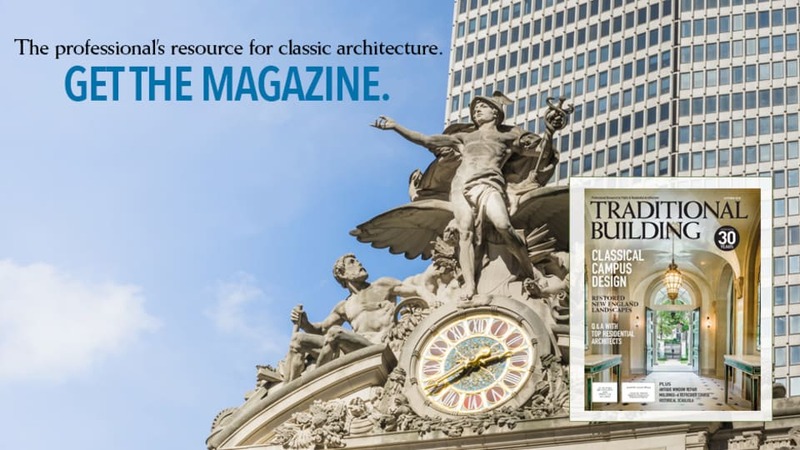 It has accomplished the revitalization of many, as well as millions of square feet of National Register listed and landmark buildings, to garner awards from the National Trust, Preserve America’s Treasures, and many local and statewide preservation organizations, due to its creative approach. All of the firm’s preservation work is anchored in the Secretary of Interior’s Standards for the Treatment of Historic Properties. “There were many challenges in upgrading the building, but chief among them was that the failing pipes, damaged wiring and compromised framing were concealed within the walls and floors, and therefore not visible,” says Hallas. 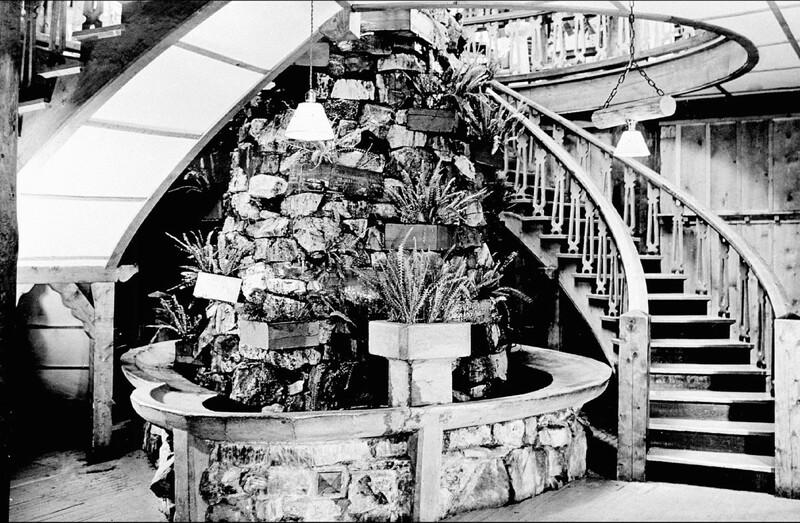 A historic photo capturing the original helical stair, ca. 1920. She says in her investigational work, the firm chose over 40 select areas to open up the walls and ceilings in 24-in. squares to see what the damage entailed. The team, including structural engineering firm (JVA Consulting Engineers), mechanical engineering (360 Engineering, Inc.), and electrical engineering (AE Design), all benefitted in seeing behind the walls to better design the repairs. “It was quickly determined that the best and most efficient solution (in terms of time expended and dollars spent) was to remove the finishes which were typically wood wainscotting and an early gypsum product, to allow all of the building’s systems (plumbing, electrical, fire suppression, structural repairs) to be completed comprehensively. 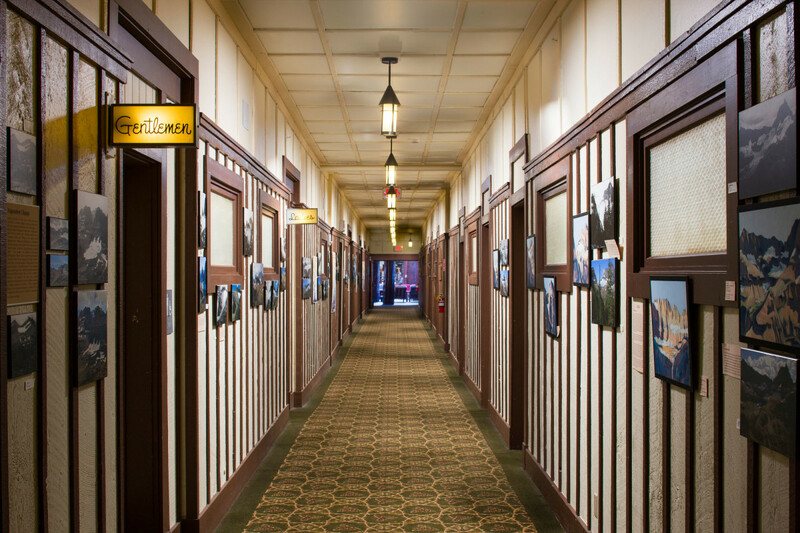 This approach allowed for a safe lodging experience for the visitors of generations to come,” says Hallas. A look into a typical guest room, complete with historic finishes. 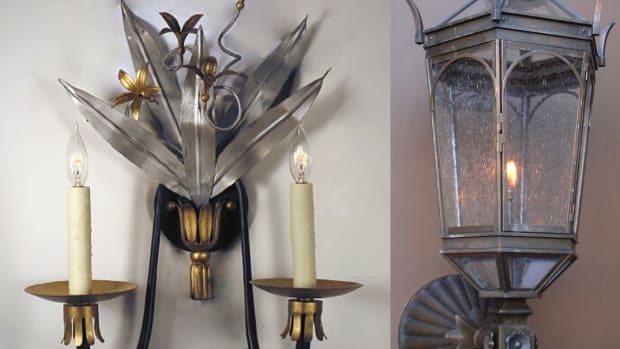 The approach entailed the reinstallation of salvaged historic elements, including wainscot, lavatories, tubs, doors and new high efficiency (and historically appropriate) custom lighting fixtures using recycled materials. Existing structures (e.g. 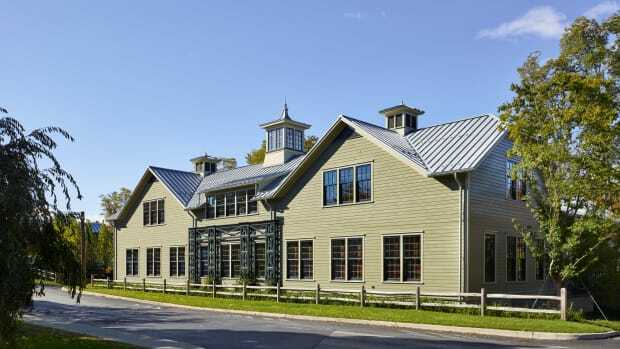 historic chimneys) were harnessed to furnish seismic resistance and a comprehensive assimilation of the International Existing Building Code, resulting in creative solutions for addressing code issues. 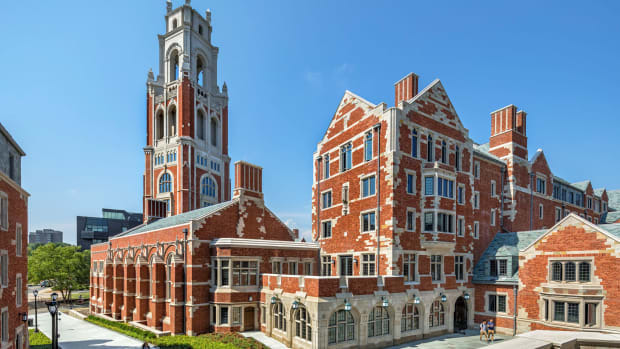 The firm not only preserved the hotel’s rich character but also upgraded various failing life safety systems including seismic retrofits, structural stabilization, fire suppression and plumbing system replacement, and code compliant electrical system installation. 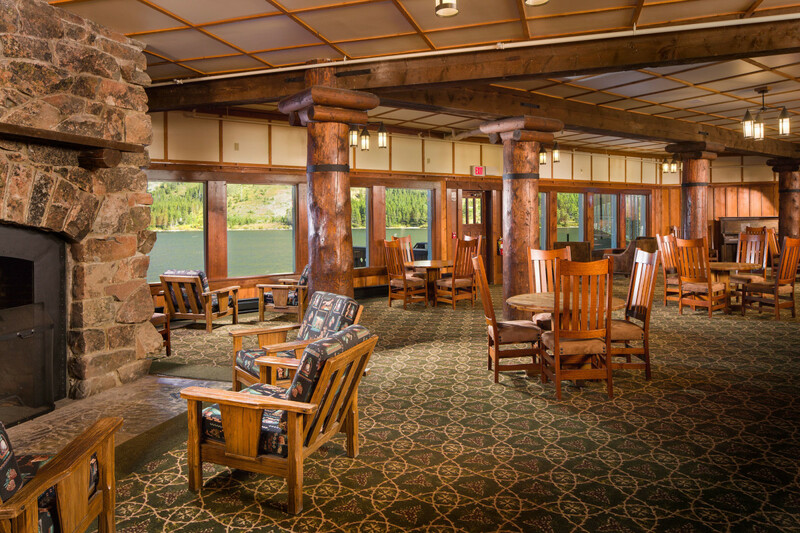 The hotel’s north bridge common area and fireplace. Phase one, completed by others, tackled exterior maintenance—roofing, wood and window restoration and painting. The second phase established new public restrooms and a $1-million hazardous material abatement. 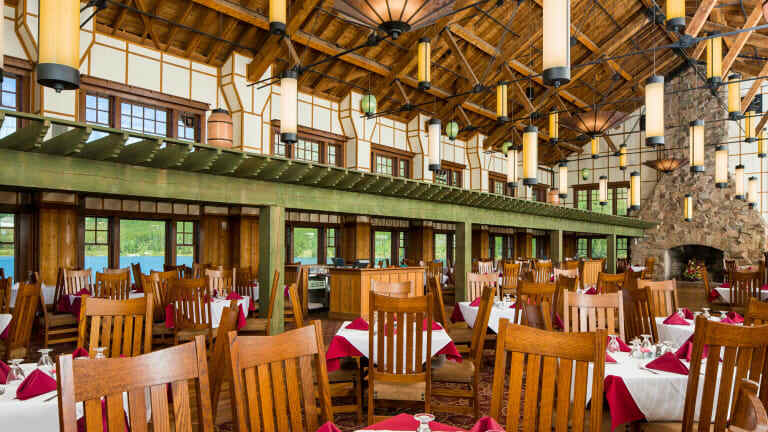 Phase three involved interior rehabilitation of the north half of the hotel, including complete MEP replacement, structural and seismic upgrades, architectural finishes, and the restoration of the dining room with the recreation of its historic lighting and pergola. The fourth phase, interior rehabilitation of the south half of the hotel and the grand lobby, required the recreation of the lobby’s original, Asian‐inspired light fixtures and feature helical stair, which had been removed in the 1950s. They were recreated to accommodate modern code standards. 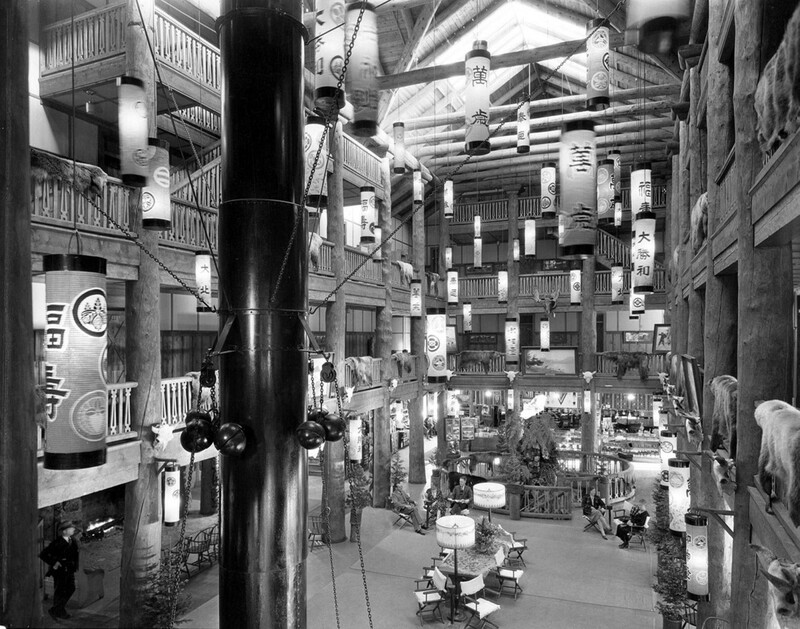 It also reintroduced the connection between the grand lobby’s ground level and the lake. A careful and meticulous approach was taken by the design team to reconstruct lost historic features while concealing critical health and life safety upgrades. The design team made special touches wherever possible, unfolding and restoring the hotel’s original historic elements. A glimpse of the rehabilitated south bridge with a stunning view across the lake. Throughout the project, numerous innovative design and engineering techniques were used. For instance, utilizing forensic investigations, historic photos and on-site reconnaissance, the team uncovered a unique “east meets west” historic character of the dining room and lobby to carefully restore the signature spaces, now reinvented with sustainable materials and energy-efficient lighting. 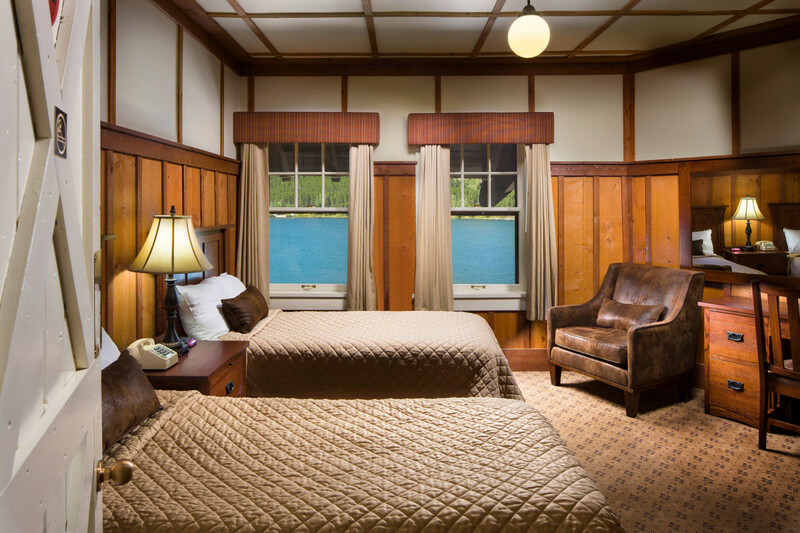 Resourceful, creative lighting strategies reinstated the original interior hallway transom windows while maintaining acoustical privacy on the guest rooms’ side. The dining room’s iconic chimney was dismantled stone by stone, each labeled and set aside. A web of steel and concrete reinforcement was then constructed to stabilize the chimney and the stones were replaced, concealing the stabilizing elements. The historic fabric of the hotel stands strong. It is now safe and sound, and shows off its rustic, old-world style. A true indulgence for any of its nearly 46,000-overnight and 500,000-day visitors it receives annually. The hallway is now restored with its historic finishes reinstalled. 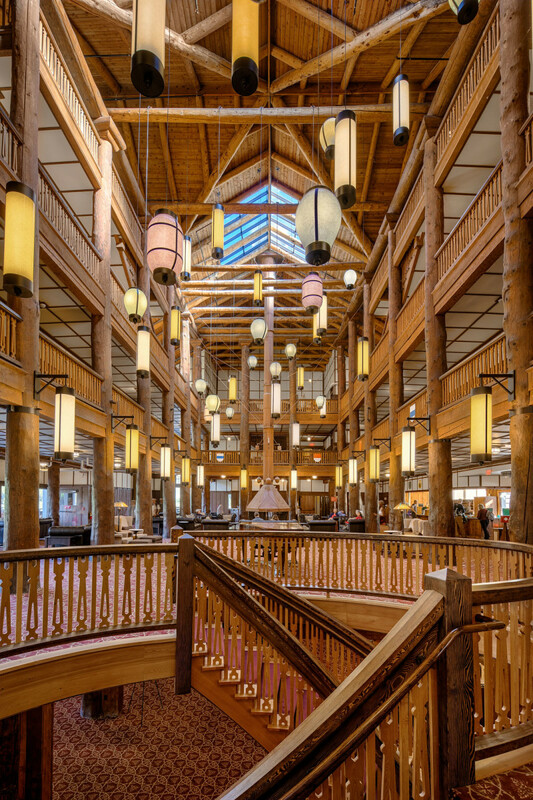 “Today, this awe-inspiring hotel provides guests a feeling of pride—that this national landmark has been saved and that the National Park Service prioritized the hotel’s stewardship for future generations to enjoy. It has been an honor for our firm to play a part in this legacy,” says Hallas.